This entry was posted in Animals & Animal Vaccines, Articles & Breaking News, Geo-engineering, Chemtrails & Global Warming, You are being poisoned and tagged birds on September 29, 2016 by Editor. Excerpt: The first, astounding, finding of our initial survey results showed that, overall, 55% of all illnesses reported by participants occurred within the first three months of vaccination. This has risen to 66% in the second analysis. If the vaccine had no bearing on the illness, you would expect to see no more than 25% occurring within that three month time frame. This entry was posted in Animals & Animal Vaccines and tagged dog on September 29, 2016 by Editor. Reports are arguing that an NBC Intern was seen delivering a package to Clinton’s campaign headquarters in New York. Given Hillary’s troubles with emails, it makes perfect sense that they would deliver their information by hand to avoid hacking or getting caught. It is being reported that the Intern walked into the headquarters, and went directly into the personal office of Clinton campaign manager Robert Mook. The Intern was spotted wearing a FedEx outfit, but a reporter working with Fox News recognized her and immediately reported what he saw. When the Fox News reporter raised questions, Clinton’s staff called him “ignorant” and ushered him out of the office and away from their building. The Fox News reporter argues that he stuck around and did not see a FedEx truck anywhere in sight the entire time. Just look at the first few minutes…at least til 4:20. One of Hillary’s men (white hair & mustache) sneaks back and forth then finds the opportunity to take something out of the podium will be covered by Bill & Hillary. 3) VIDEO #2 Same man (white hair & mustache) takes Hillary’s note pad and covertly gives it to Lester Holt. start at 3:38 The same man take Hillary’s notes out of her podium, waits until he make eye contact with Holt and then slips him Hillary’s notes. Watch the video. The investigator has come to the conclusion that Hillary is wearing wireless gear that runs an antennae up her back and ends at her neck. He suggests that due to her relationship with companies like Google, she has 2 flat buds on her scalp/occipital lobe, hidden by her hairdo, with an antennae running up her spine in order to have a secure frequency/secure line . Now for the first time, the Lame Cherry will explain what Mrs. Clinton was reacting to. She did not have an earwig as in the first debate, but instead had an advanced in production contact lens which literally was running like a teleprompter. That is why the sentences were in bursts and complete. It was the exact pattern of a United Nations translator which everyone has heard, when you are being fed one line of information and you have to speak it. This is termed augmented contact lenses, and are in production and DARPA or the futurist military development group has been developing even more advanced systems for years. … company specializing in display technology based on eyewear andcontact lenses has sealed … on high-tech contact lenses … sets designed for the military. This entry was posted in Articles & Breaking News, Liberty & Freedom Room and tagged contact lens, Darpa, Debate, Hillary on September 29, 2016 by Editor. This entry was posted in NEWS on September 27, 2016 by Editor. This entry was posted in Liberty & Freedom Room on September 26, 2016 by Editor. This entry was posted in Vaccine Injection Room on September 21, 2016 by Editor. He wasn’t asked about building 7. But you can tell he questions the reality of the story. First he says bombs were on the plane at the very least…yet he refers to bombs in the basement. And he repeats and repeats that the steel was virtually impossible to destroy. He doesn’t go full tilt to the 911 reality that we know. But he knows!!! This entry was posted in Liberty & Freedom Room and tagged 911 on September 21, 2016 by Editor. Donald Trump meets with Haitians in Florida Fast forward to 5:10 for speech of former Pres. of Haitian Senate telling of Clinton’s attempted bribery that would make him a rich man. Scroll to 1:51 where Clinton tells everyone to go to the CLINTON FOUNDATION website and donate. The Clinton Foundation raised at least $36 million to help, according to its website. Pay for Play: Tony Rodham gets the first goldmine contract in Haiti despite no contracts offered to outside operations in 50 years. This entry was posted in Articles & Breaking News, Liberty & Freedom Room and tagged Haiti on September 18, 2016 by Editor. 1) Re: Education: Donald Trump is against Common Core and the Federal Education Board. Wants to bring education back to the states and the community with vouchers etc. 3) RE: VACCINES: He took the anti vaccine, anti pharmaceutical position right off the bat. 4) RE: CONSCIOUSNESS: His daughter, Ivanka and son Donald jr. practice Transcendental Meditation. Since you are articulating the importance of “consciousness” lately you may know or may not know that a person practicing transcendental meditation or some spiritually awakening practice affects 7 generations before and after. 6) RE: Alternative Media Activist: Infowars, Stefan Molyneux, Paul Joseph Watson, Mike Adam, Breitbart news, etc all the deepest alternative media support Donald Trump. That should give you pause. Yes, he has surrounded himself with some establishment players like Admiral Woolsey and perhaps Mike Pence, etc . Apparently, in order to get his foot into the presidential door, he must imbibe concepts that are warlike and aggressive as well as environmentally questionable. However, he balances these concepts with radical ideas supported by alternative information sourced from the likes of Breitbart, Roger Stone, Infowars, etc. Trump get the heads up on the murders and pay for play operations of the Clintons. That is, he has been getting, all along, and that inside information that we, activists, get first hand from our deep alternative media players. Moreover, Trump has the courage to speaks it out. He is our voice. It was no surprise to us, the deep seated activists, that Bannon (Breitbart) got on board the Trump train- a radical move. 7) RE: USA Return to Independence: Trump’s current environmental position, the elimination of many environmental and other regulations is an emergency measure to disrupt the World Government momentum of resource and trade co-dependency among the world nations. Trumps plan is to become energy independent ultimately resulting in the United States ceasing the warring seizures of other countries’ resources such as the oil in Iraq, Afganistan and Iran, etc. That is, Trumps plan of restoring independence to the United States gradually reduces the US interference and foreign interventions that are falsely based on humanitarian and demoncratic rationale. Energy and manufacturing independence and the ceasing of rampant outsourcing will ultimately restore the US previously strong independent status. It will cut dependency on other countries resources, the dependency which is fundamental to the globalist agenda of a one world government. 8) Re: Agenda 21:His environmental positions albeit appears detrimental to the earth but it is actually detrimental to the globalist Agenda 21 and their manipulation of “sustainability”. The earth will ultimately heal. It is audacious to think that man can destroy Gaia… humanity would become extinct before that can happen. 9) Gun Rights-2nd amendment: Defending gun rights breaking down the strategy to force Americans to be helpless against government militia projections. 10) Re: Exposing the globalist agenda: Exposing the pervasive Govt. corruption from the FBI to the Whitehouse and internationally with the Clinton outreach and pay to play with ambassador jobs, etc. 12) Re: Trade Agreement: Renegotiating NAFTA, CAFTA, against TPP and other current secret trade agreements. 13) Restraint in some of Trump’s positions: He would be stupid to go against Israel or Biotech (GMO), etc. He has a good heart…Palestine’s plight is not unknown to him. Note: You can bet that his children & grandchildren eat organic food and would change the balance and influence in the positive…small organic farm operations and labeling if he becomes president. 14) Re: Creating Chaos: Although you may think that he is “consciously” being manipulated by the common elite powers behind the political machine..however…perhaps not. In any case the reality (above) is happening and it is engendering the chaos needed to break the illusions. If you agree that all phenomenon is actually being administrated by the infinite correlative process of Divine Mind then this reality is perfectly out-picturing. 15) Choosing one of two candidates: Since there are only two candidates to vote for at this point…which one should be chosen by the enlightened or should we just sit this one out and take no action inspired by the impulses that arise from Source. 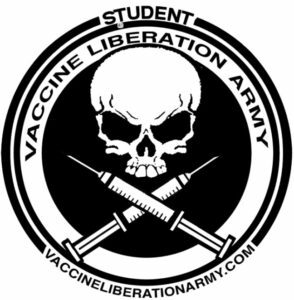 I have been mediating for 40 years; I resonate with alternative media; I am a anti vaccine activist exposing the world platform focused on debilitating the entire incoming generations of humanity. 16) Trump’s Vedic Astrology: Will Trump become president? His vedic astrology shows that he makes a big shift…into a 16 year Jupiter cycle… just a week after the election. Jupiter is in Virgo, his native 2nd house of money, and currently in transit Jupiter will also be in Virgo, on top of his native house of money. Since it is in Virgo it foretells of “communication” as Virgo lorded by Mercury. He may not or he may become president…but in any case he will definitely have a great impact on world affairs whether he is president or not….and have great fun publishing his international best selling book, TRUMP TRAIN (my suggested working title). The Donald will write an amazing book and recoup all the dollars that he lost in supporting his campaign. The TRUMP TRAIN will be such an internationally best seller that he might publish it by starting his own publishing company with associate existing publishers. If the Donald does not become president, it will be worthwhile him knowing that he has made and will make in the future, a dramatic and beneficial effect on US and world events. It will be his good karma to know that some else is US president, over lording an epoch of Hell. VLA COMMENT: Articulating negative opinions on Trump, in light of a corrupt Clinton choice, leads those who value the opinion of persons like David Icke, to yield to a temporary disconnect & paralysis leading them to sit out the election. Alternative leaders may be wise to avoid suppressing the impulses of the insecure, the enlightened and the deep seated activists who resonate with the Trump family, by speculative opinion, unless these respected leaders are absolutely sure of their position, despite of and in the face of, being countered by major activists and respected alternative media person referred to in this email. “Meditation is one of the most important things I do each day. I meditate for twenty minutes, ideally twice daily. Sometimes I miss the afternoon session, but I always make the morning one. It’s been invaluable in terms of calming my mind and allowing me to think more clearly. I recently treated my team to an intensive transcendental meditation course. It’s proven to increase productivity at work and cut down on stress (doesn’t that sound awesome!?). We covered my team’s experience with transcendental meditation on my site”. Get $160 in bonuses at this link! No textbooks. No Common Core. 98% self taught. $500/year. Money-Back Guarantee. Courses: English, Biology, Economics, Government, Western civilization, Personal finance, Public speaking, Business, Western literature, Chemistry. This entry was posted in Liberty & Freedom Room and tagged Trump on September 17, 2016 by Editor.